Dress up your daily glass of wine with the Drop Stemless Wine Glass. Intricately mouthblown in Veneto, this beautiful collection brings a playful, chic touch to your favorite barware assortment. Dress up your daily glass of wine with the Drop Wine Glass - Blue. Intricately mouthblown in Veneto, this beautiful collection brings a playful, chic touch to your favorite barware assortment. 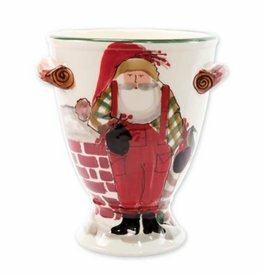 Featuring the handpainted designs of maestro artisan Alessandro Taddei, the Old St. Nick Footed Urn with Chimney & Stockings is the perfect hostess gift or place on your buffet for your go-to décor piece this holiday season. 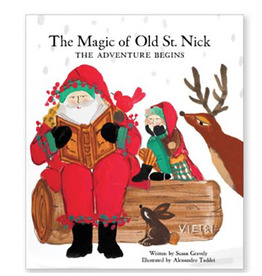 The Old St. Nick Oval Serving Bowl features the handpainted designs of maestro artisan Alessandro Taddei. Handpainted in Tuscany and an instant classic for everyday dining, the Wildlife Black Hunting Dog Salad Plate brings the grandeur and beauty of the outdoors to your table with exceptional craftsmanship and attention to detail. Handpainted in Tuscany and an instant classic for everyday dining, the Wildlife Hunting Dog Salad Plate brings the grandeur and beauty of the outdoors to your table with exceptional craftsmanship and attention to detail. Handpainted in Tuscany and an instant classic for everyday dining, the Wildlife Quail Salad Plate brings the grandeur and beauty of the outdoors to your table with exceptional craftsmanship and attention to detail. Charming hand painted salad plates. 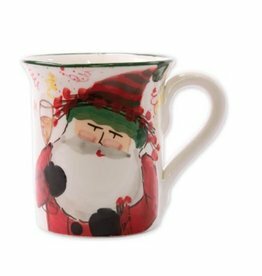 A great addition to your rustic lifestyle and entertaining. Perfect registry gift for that outdoorsman.